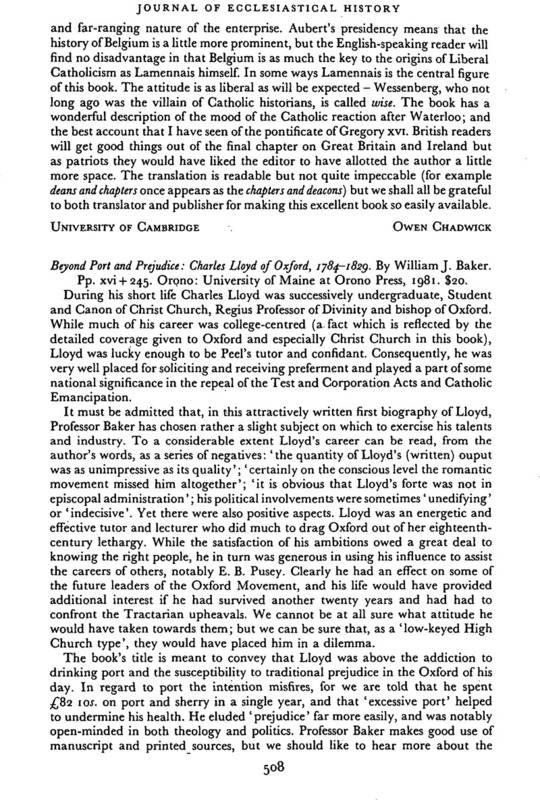 Beyond Port and Prejudice: Charles Lloyd of Oxford, 1784–1829. By William J. Baker. Pp. xvi + 245. Orono: University of Maine at Orono Press, 1981. $20.